SYCHOANALYTIC writers tend to focus on identityor, to be more precise, the lack of a stable identityas the core of Borderline Personality Disorder (BPD). But in my experience, I know that identity and personality are social illusions, and that the real core of BPD, and other personality problems with BPD elements, is rage. Rage is a raw and primitive form of anger as a response to the fear of intellectual, physical, or emotional abandonment. The clinical diagnosis of Borderline Personality Disorder requires several specific criteria, but many persons can experience some BPD symptoms apart from any clinical diagnosis. These symptoms tend to develop from early childhood experiences of chronic emotional abuse, sexual abuse, physical abuse, or a combination of various forms of abuse and trauma. That is, when children are not raised in an environment of loving guidance and protection, but are instead mistreated and manipulated, they will be crippled psychologically and spiritually with a smoldering inner sense of self-loathing, mistrust of others, and rage. Regardless of whether or not the symptoms meet the criteria for a clinical diagnosis of BPD, the treatment is the same: learn to understand that the symptoms derive from childhood emotional injuries, and then learn to respond to injuries in the present without falling into rage. If you have problems with borderline symptomatology, and if you look closely, you will see that all of your interpersonal difficulties in both the past and the present wereand arebased in feelings of rage as a result of the trauma of beingor feelingunnoticed and emotionally abandoned. Abandoned, traumatized, and helpless. You will find that your whole being is given overconsciously or unconsciouslyto inflicting hurtful revenge on the world around you for neglecting your emotional and physical needs and leaving you helpless. In essence, this rage is a sort of knee-jerk attempt to get back at the person who injured you. Even masochistic self-mutilation can have a component of this revenge. In cutting, for example, individuals let out their rage in slow, “controlled” doses that don’t kill them. Seeing their blood, they see themselves showing their woundtheir lifes bloodto the Other who, they know, has disavowed the value of their life. Suicide can also have the component of a desire to silence the rage by killing it. Sexuality, alcohol, and drugs can also be used to “silence” the rage by numbing it. But none of these attempts to distract your attention from your rage can ever be successful. What is rage, after all, but a frightened infant crying because he or she has been abandoned? Ignoring the infant and walking away wont silence the crying. The only way to soothe the infant is to pick it up and find out what it needs in the midst of its fearprecisely what your parents didnt bother to do. Its a difficult thing to admit that your parents did not love you. Most likely, though, they didnt love you because they couldnt love because they were afraid of love because their parents didnt love them. And what is the proof of this? Well, the whole purpose of bringing a child into the world is to take responsibility for guiding an innocent soul into mature purity before God. Now, if your childhood was filled with loving trust in God because your parents lived in chaste loving trust in God, then we can say your parents loved you. But if your childhood was filled with insecurity, hostility, self-loathing, and disobedience, then you have the truth right under your nose. All you have to do is see it. Yes, all you have to do is see it. Sadly, some persons prefer to destroy themselves by suicide or by slow self-sabotage rather than admit that they hate  their parents for not loving them. Yes, when you were a child, your father abandoned you emotionally, if not also physically. Maybe he was alcoholic; maybe he was emotionally distant; maybe he was weak and timid; maybe he was abusive; maybe he abandoned the entire family. Maybe your mother was harsh and critical and, not knowing how to accept you in real love, abandoned you emotionally as well. Essentially, your parents pushed you away with their lack of love, and they gave you the implied message, You dont matter. So, to cope with that pain, you protected yourself by pushing your parents away. You found your revenge on them by becoming emotionally closed off; you hid your true feelings from them, and you acted out in disobedience to hurt them. But now, as you are older, the rage continues. Whenever others offend you, you become enraged and you push them away, just as you pushed your parents away. Everyone who offends you, you push away. But you dont push them away by cutting ties with them, you push them away by making them reject you because you are so desperate to be accepted. The dynamic of pushing away actually begins as a benign defense in childhood when, confronted with your parents general lack of real love, you say, if only silently to yourself in frustration, Stop! All you want is for the mistreatment to stop. But then this initial protective act grows into an aggressive act. You slowly transition from passively trying to stop the pain to actively getting revenge by pushing away anyone who offends you. Sooner or later, then, you will look around and feel completely alone. Look! you say to yourself. Im all alone! Even God has abandoned me! But God hasnt abandoned you. Your parents abandoned you, and now you push everyone away in rage. When children have to cope with dysfunctional parentsespecially when the mother is demanding and the father is absent physically or emotionallythey learn to suppress their own needs and capitulate to the needs of the parents. Essentially, the children learn that hiding their true thoughts and feelings is the surest way to survive. Eventually, children will carry this emotional hiding right into adulthood, where it will cause them frustrating difficulties in interpersonal relationships. Always holding back their true thoughts and feelings, they will feel constantly misunderstood. And then something oddthat is, something unconsciousoccurs. Blind to their own defenses, and unable to see their role in the communication difficulties, they will blame others for everything. Its your fault! They will always be at odds with others because, in blaming them, they fail to see that they are unconsciously speaking the angry wordsIts your fault!they feared so deeply to say to their own parents. This hiding and blaming can manifest in two particularly destructive forms of desire. First, it can manifest as a desire to control circumstances to avoid being blindsided (that is, taken by surprise), which will amplify the defensive tendency to hide true thoughts and feelings; thus you can give others the impression that you are manipulative, calculating, or untrustworthy. Second, it can manifest as a desire to control others (You need to do [this or that]!), which will more likely than not be followed by outbursts of mutual anger. Moreover, this hiding and blaming doesnt stop in the social world. It even interferes with spiritual growth. After all, how can you love God when every difficulty in life is seen as Gods fault? Its your fault! How can there ever be healing when those words of blame are constantly on your lips? The dynamic of blame explains why BPD clients are so dreaded not only by friends and spouses but also by many psychotherapists. If the psychotherapists havent done their own psychological scrutiny to immunize themselves from getting caught in the unconscious of their clients, those unwary psychotherapists will find that no matter how hard they work, no matter how much of an effort they make, it only takes one BPD client to make them feel like miserable failures. Infants and very young children are by nature helpless and entirely dependent on their parents’ care and protection. Because parental rejection can threaten the children’s survival, children develop a fear of rejection and an intuitive desire for parental acceptance. In healthy families, parents attend closely to their children’s needs and teach their growing children the skills necessary to survive independently. Ultimately, the children will progress from an all-encompassing desire for the parents’ acceptance to the development of their own personal interests and desires, and they will be well prepared to enter society as confident individuals. In dysfunctional families, though, constant blame and criticism by the parents will keep the children in such a state of fear that the children will suppress their own interests in order to maintain a vigilant focus on the necessity of having the acceptance of their parents. Consequently, throughout life this anxious focus on getting acceptance from others will define the nature of a person’s locus of control (from the Latin locus, place) as being external. Locus of control refers to the psychological “place” in which a person puts responsibility for the outcomes of various life situations. Persons with an external locus of control attribute outcomes not so much to personal actions as to the actions of other people—or luck. Thus when you have an external locus of control you essentially live in a perpetual feeling of frustration, always blown about by the whims of the world around you. When you’re caught up in this state of mind, it seems as if your life is being stolen from you. You can never rest, and you can never get enough from life to feel satisfied. There is no room for your own interests and desires because everyone always seems to get in your way, or let you down, or ignore you, or reject you, and you always end up angry—and it all goes back to the childhood pain of not getting the acceptance of your parents. If you are always focused on external things, you will always have a bottomless reservoir of resentment for your rage to feed upon. In contrast, persons with an internal locus of control perceive that they can personally exert command over the outcome of any situation because their motivation is always internal; that is, focused on their personal desires. With such a state of mind, you will not be thwarted by obstruction from external events, and you will keep your focus on the objective you are seeking. Even if you encounter a situation that is truly impossible (such as changing the behavior of another person, or of preventing a natural or social tragedy) you will still have command over your reactions to that situation. Therefore, emotional healing from the painful rejections experienced in childhood depends on your shifting your mental focus away from what other persons do and toward a curiosity about your own inner experiences. This process requires dedicated effort, but it can be done in prayerful scrutiny, and it can be done in psychotherapy. If it is done well, you will recover a deep respect for your own personal interests and desires, and you will experience the peace of mind of being free from the rage of a wounded child. Some persons will insist that because your original wound happened in your early infancy, before you could communicate with language (that is, in a pre-verbal psychological state), the psychotherapist must take on the actions of a caring, supportive parent until you can experience pre-verbal healing, and then you can progress to a higher, cognitive level of treatment. Well, that idea misses the point that you are now an adult with adult language skills, and that the point of the treatment is to give adult linguistic expression to a trauma that overwhelmed you as an infant precisely because the trauma could not then be contained symbolically in language. Thus it will be important that you now “tell your story” about your childhood pain. Learning to speak about the pre-verbal pain and terror does several things. It provides a sense of safety, through an acceptance of your thoughts and feelings as non-threatening; it desensitizes you to the troubling aspects of your memories of the traumatic experience; and it integrates positive growth into your lifestyle. Thus you can draw wisdom from pain and tragedy. So, to heal this rage, it will be necessary (a) to recognize that it affects you to the core of your very beingthat is, to recognize how every childhood wound from your parents lack of real love continues to live in every emotional hurt inflicted on you in the present. It takes good, honest scrutiny to do this, along with patience and training in emotional sensitivity. Then it will be necessary (b) to recognize in the moment how feelings of rage follow right on the heels of feelings of insult, abandonment, and helplessness. Then it will be necessary (c) to make the conscious decision to push past your fear and respond to that insult without rage. In order to avoid falling into anger as soon as you feel hurt by someone, learn to scrutinize carefully each event that upsets you. Ask yourself in the moment these questions: What are your emotions about that event? How have you felt hurt? Feel the hurt. Feel the pain of your helplessness—but feel it without getting angry. Notice how hurt always precedes anger because anger is a hostile reaction to feeling hurt. A common way to block out unpleasant and frightening emotions, especially emotions of helplessness, is with anger, allowing free reign to impulses of hatred and revenge. When you get angry you don’t really allow yourself to feel your inner vulnerability and hurt. All you can think about in the moment is your desire to get revenge, to defend your pride, to do something—anything—to create the feeling that you have power and importance. In essence, your outbursts of rage paradoxically hide your inner feelings of vulnerability, so you never recognize the hurt you’re feeling that triggers your hostile reaction. All the bitterness and hostility is a big puff of smoke, an emotional fraud. It hardens your heart toward others so that you can seal off your own emotional pain. Next, follow each example of hurt back into its roots in the past to all those times and circumstances when you felt the same way. Carefully scrutinize your childhood and examine your memories of painful events to discover what you were really feeling then, as a child. Through your psychological and spiritual scrutiny you will come to understand that all the unpleasant and frightening emotions which you have been pushing out of awareness all your life have been secret causes for all the problems and conflicts you have been experiencing all your life. Remember, your impulsive reactions to present injuries are an unconscious reaction to the original emotions and fantasies you experienced, but suppressed, in childhood. This is what is meant when someone is said to have overreacted: the person reacted to something said or done in the present that unleashed a hidden store of emotions from the past. Having understood the previous two steps, now deal with each event separately, according to the thoughts and emotions specific to that event. Do something constructive and creative about each problem, something emotionally honest and not based in the desire to hurt others as you have been hurt. That is, choose something different from the insanity of modern culture’s Satanic Rule: “Do to others what they do to you.” Learn to express your thoughts and feelings to others without blaming or criticizing them. Learn to express the hurt that underlies all your anger, rather than just get angry. Finally, all of you, be of one mind, sympathetic, loving toward one another, compassionate, humble. Do not return evil for evil, or insult for insult; but, on the contrary, a blessing. . . .
Keep in mind here that the part of you that falls into rage has the emotional maturity of a two year old child. When you feel frightened, its as if you become two years old again; you become a terrified and angry victim, and all rationality and trust in God flies out the window. You will attack anything and anyone, friend or foe, to protect yourself in the moment. In the realm of pure psychology, constantly making that decision to love, rather than hate, can be very difficult. Religion, however, offers an elegant solution: Christ. Christ endured intense suffering for our sake and He promised never to abandon us. And He left us His sacraments to console us and strengthen us. Thus, whenever you feel hurt or insulted by anyone, put it in perspective. Compared to the embrace of divine love, all human insult is irrelevant. All human insult is irrelevant because the desire to receive human love is irrelevant. All human love is subject to lapses, failures, and even betrayals. Yes, all children need the love of a mother and a father, yet even parental love is subject to failures, and no other human love can replace failed parental love. Only God’s love can bring healing because God’s love is perfect and never fails. Christ can pick up the crying infant and soothe the pain. With Christ, theres nothing to fear about anyone. All human insult is irrelevant. All failed human love is irrelevant. Jesus, I trust in You! He will never abandon us. You will be at peace, then, if you surrender your pride to Christ. Accept the fact that without Christ you are helpless and alone. Stop expecting to receive love from others and instead focus on giving to others the love that you receive only from Christ. In psychology there is an axiom that anxiety and relaxation cannot both exist in a person at the same time; this fact has become the empirical basis for systematic desensitization, a procedure for treating phobias. The spiritual realm has a similar axiom: you cannot hate others and pray for them at the same time. 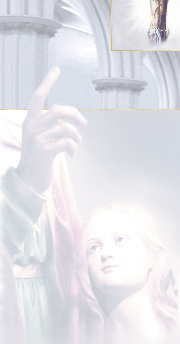 Therefore, if you train yourself to pray for the repentance and conversion of anyone who insults or offends you; this does not mean that your feelings of irritation will dissolve immediately; prayer simply allows you to sit with your emotional pain and feelings of helplessness while putting them into the hands of God so that those persons who hurt you can be dealt with according to His perfect justice. Yet there is a price to all this. Just as Christ suffered for us, to redeem us from sin, so we, in accepting His loving embrace, are obligated to embrace our own suffering for the sake of others. We are called, therefore, not only to set aside all desire to avenge our injuries (because this desire serves only to hide our wretchedness by defending our pride) but also to do so in the hope that our refusal to fall blindly into anger will be a source of healing for others. You say you want to be loved? Well, keep in mind that if you curse others, there will come a time when you will be cursed. If you hate others, there will come a time when you will be hated. And if you love others, well, there will come a time when you will be loved. This price, then, explains why so many Christians fail at being Christian. No matter how much they say, Jesus, I trust in You! they really dont trust in Him at all because they fear what they will have to pay in order to trust Him: everything they have. That is, they will have to pay the price of giving up their belief that they are entitled to being loved by others, and now, by giving love to others, they will have to pay the price of making reparation for those past mistakes of entitlement. Thus, deep in their hearts, they cling to the sweet taste of their own rage with a secret, unconscious trust they have known like a good friend all their lives. They sin out of the pride of getting revenge, knowing that its sin, but, in the moment at least, it tastes good. And then, in their own fear, they create excuses to tell themselves that they really had no choice because they are such weak persons. Yet its all a cunning unconscious fraud to avoid the responsibility of real love. It takes hard work to be a real Christian. 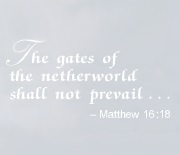 The Catholic mystics have said this for ages. The only path to real love is through prayer and sacrifice in total obedience to Christ. Therefore, learn to pray by sitting quietly before God with all your emotional pain. Feel the painbut feel it without anger. Admit that you cannot make others act as you would like them to act. Admit that you cannot save the world from its insanity. Admit your helplessness before God. Admit that without God you are nothing. Feel the nothingness and accept it. Accept that only in your helplessness and nothingness will you ever receive a mission from God to do anything meaningful. In making all these admissions, though, notice something very important: you are not alone in your suffering. God is with you in your brokenness and in your deepest emotional distress. God is with you in your weakness to help you repair your life—and it takes humility to admit this. To be taken with love for a soul, God does not look on its greatness, but on the greatness of its humility. If you are willing to learn this type of prayerful humility and practice it constantly, you will find healing for your pain. You will then understand that God’s love is all you need. It’s always enough. Individuals with BPD symptoms are not bad persons, so it’s important to understand that, deep in their unconscious, they want someone to stand up to them rather than run from their rage; that is, they want someone to refuse to be pushed away by their hostility and to have the courage to face their BPD rage with compassion. It’s also important to keep in mind that when they do explode in rage, their communication patterns tend to have the quality of “insanity”; that is, they can be dramatically impulsive and irrational. Note carefully that it is impossible to reason with insane communication because it’s just a frenzied visceral outburst; furthermore, being “nice” (e.g., appeasing, capitulating to demands, trying to avoid conflict, walking on eggshells) in response to insane communication will only reinforce it, not cure it. Consequently, in dealing with someone who has BPD symptoms, it will be essential that you use strong but sensitive boundaries. Consider the following points when you set boundaries to protect yourself. Resist the temptation to respond to accusatory e-mail, text, or telephone messages. Responding to such messages puts you in the impossible place of trying to reason with insanity. The only sane recourse is to ignore all such messages. 1. The emotion of hate does not necessarily mean a passionate loathing; it can just as well be a quiet, secret desire for harm to come upon someone or something. Hate can be a subtle thing, therefore, and it often is experienced more unconsciously than consciously. Consequently, it will often be very easy to deny that you feel any hatred for anyone at all. Nevertheless, whether your dysfunction be extremesuch as suicide, drug addiction, alcoholism, and personality disordersor more subtlesuch as perfectionism, chronic procrastination, or a lack of success in a careerit all has an unconscious intent of hating and hurting your parents (especially your father in regard to his lack of guidance, protection, or emotional involvement) by hating and hurting yourself. And, because this intent is unconscious, it can be maintained right into adulthoodeven after your parents have died! A treasure of a resource for psychological and spiritual healing. Information gathered from my websites is now available at your fingertips in book form. 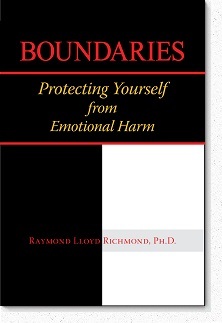 Boundaries by Raymond Lloyd Richmond, Ph.D. Always treat others with respect and dignity, even if you do not agree with them. But if they treat you with a lack of respect and dignity, then protect yourself with healthy boundaries. This book teaches you about healthy psychological boundaries. 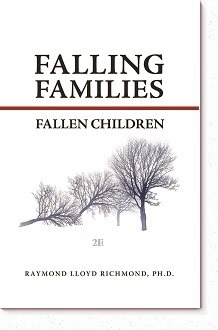 Falling Families, Fallen Children by Raymond Lloyd Richmond, Ph.D. Do our children see a mother and a father both living in contemplative love for God with a constant awareness of His presence and engaged in an all-out battle with the evil of the world? More often than not our children don’t see living faith. They don’t see protection from evil. They don’t see genuine, fruitful devotion. They don’t see genuine love for God. Instead, they see our external acts of devotion as meaningless because they see all the other things we do that contradict the true faith. Thus we lose credibility—and when parents lose credibility, children become cynical and angry and turn to the social world around them for identity and acceptance. They are children who have more concern for social approval than for loving God. They are fallen children. Let’s bring them back.